In 1988, I read an article in the Houston Chronicle about Lucy Temerlin, a sign-language using chimpanzee raised as if she were human. The very next day, I began the 15 years of research that would lead to the publication of my second novel, Hurt Go Happy. A few days ago a friend sent me this TED video. Frans De Waal is renown behaviorist who has been studying chimps at Yerkes in Atlanta for decades. I love TED videos. I've posted others, and I liked this one. It's about moral behavior in animals, specifically the ability of chimps, monkeys and elephants to show empathy, compassion, and work cooperatively. It's amusing in places, and the audience laughs. That's the part I hated. It lets us almost but not quite take the intelligence of animals seriously. I know. I'm overly sensitive about this, but all these strides in understanding how closely our emotions mimic the emotional state of animals were experiments done on captive animals. Caged animals. We are performing experiments that show that animals can suffer just as deeply as we can. Anybody with a pet dog knows that. So how much more testing do we need? THEY HAVE FEELINGS AND A MORAL CODE. SO STOP ALREADY. There are series of videos, including portions of the CNN broadcast on the Save the Chimps site. The United States is one of two remaining countries--the other being Gabon--that legally allow chimps and other great apes to be used in invasive biomedical research, according to the Humane Society of the United States. However, other countries still contract the services of research centers that use chimps, according to Dr. Thomas Rowell Director of the New Iberia Research Center in Louisiana. There are more than 930 chimpanzees at U.S. medical research facilities, most of them used for hepatitis testing, according to a report by the Institute of Medicine issued in December. The report stated that chimpanzees are not necessary for most biomedical research. The institute recognized two possible uses for chimps: one for cancerous tumors that are already part of ongoing investigations, and the other for a hepatitis C vaccine. A panel of experts advising the National Institutes of Health on how to implement the the Institute of Medicine's report is expected to issue its recommendations by the end of the year. I don't﻿ have children, except my fictional daughters, whom I have launched into the world with the hope they will amount to something, impact other people's children in a positive way. A few weeks ago I wrote about how much it means to me to hear from kids who have read one of my books, and connected to one of my girls. I told you then that I get the occasional letter home in the form of a royalty check, but I don't really know how they are faring out there in the world with millions of other fictional characters. Are they making the kind of difference I'd hoped they would make? P.S. With kids like Zipi in the world, we shouldn't be too worried about our planet. The first thing I would like you to know is that I despise nonfiction and am not a fan of realistic fiction either. However, because of a recommendation from a friend, I read Hurt Go Happy when I was in the fifth grade. I fell in love with it. 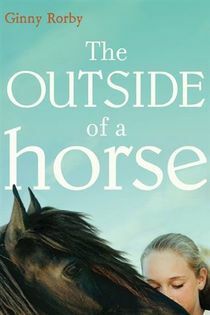 It was the first realistic fiction book I enjoyed and loved (followed by only a couple others). The second thing I would like you to know is that I am a proud vegetarian; I have been one all my life. I love animals and at one time, I had thirteen pets! Hurt Go Happy showed me the horrible truth behind animal research testing labs. There is a saying, “cruelty free,” which means that a cosmetic or other product is not tested on animals. My cosmetics and toiletries are all cruelty free, which is something that Hurt Go Happy made me realize I needed to do. I am trying to get my parents and even my friends to live cruelty free lifestyles also. Dictionary.com (not the best resource, I know) says that meaningful is, “full of significance, meaning, purpose, or value”. Hurt Go Happy is full of all of those things. 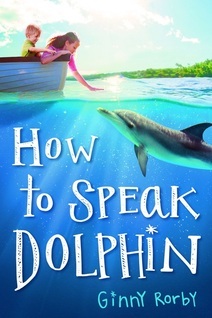 While the main topic of the book seems to be about how thirteen-year-old Joey deals with her deafness, I felt that for me personally, the book was more about the significance of animals on people’s lives and how much animals can understand. When Sukari signs to Joey near the end of the book, “Hurt go. Happy,” (this is translated into “the pain has ended”), it shows that Sukari is able to sense Joey’s feelings and know when she is upset. I believe this provides a wonderful insight because my pets always seem to know when I am upset too, which is one of the reasons I believe animals to be amazing. They may not have the same sized brain that we humans have but they are unique in their own way – they can tell our feelings. 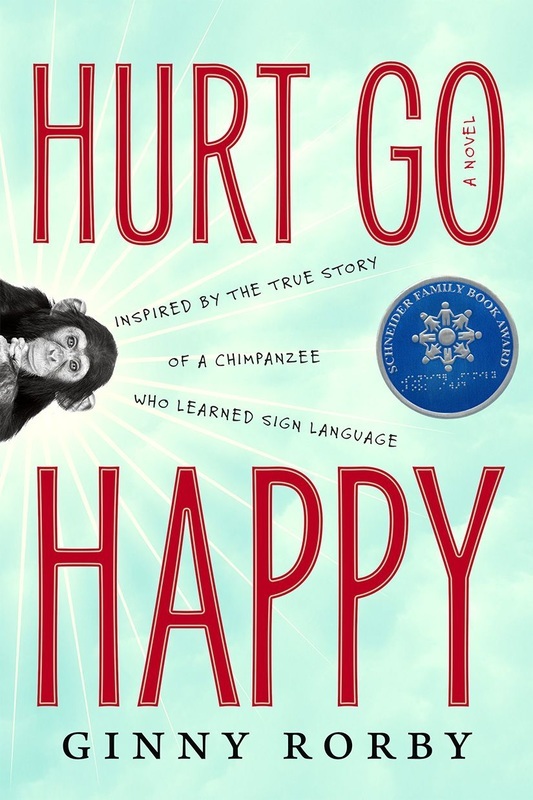 Another reason that Hurt Go Happy is meaningful to me is that it explores two topics that are not usually written about for young readers: deafness and animal testing. Hurt Go Happy inspired me to possess products that do not test on animals, before I fully knew what animal testing and cruelty free even meant. The relationship between Sukari, Joey, and (Mr.) Charlie has helped me discover the meaning of true friendship. Friends can be any gender, age, or species. Hurt Go Happy also inspired me to learn how to be able to sign “Hurt go. Happy”. Extend the index fingers of both hands, pointing them towards each other. Then, spin them in an outwards circle. (Hurt.) Next, bring your index fingers close to your body, pointing upwards. Then, in a sweeping motion, bring them up and out, pointing with both fingers at something in front of you. (Go.) Finally, place one or both of your hands in front of you. Use flat hands, palms facing your body. Circle your hands forward, down, back, up, forward, down, back, up. Move your hands at the same time and in the same direction. On the upward swing, the hands are very close to your chest or touch your chest. On the downward swing, your hands are further away from your chest. Roscoe Bartlett, (R) Maryland, to stop unnecassary testing on primates. Bartlett, who was the inventor of respiratory devices tested on primates in the early days of the space age, is now against their use for research, especially drug research. The link to the NYTimes article is below. Project Nim, a new release from Sundance Films, documents the 27 year life of Nim Chimpsky, a chimpanzee who was raised as if human. I based Hurt Go Happy on Lucy Temerlin, another experiment is raising a chimpanzee like a human child, and Nim Chimpsky. Sukari is their fictional counterpart. Here is the chance to end the suffering of the nearly 1300 chimpanzees still in research facilities. The bill is H.R. 1513. Please support it by contacting your House Representative.